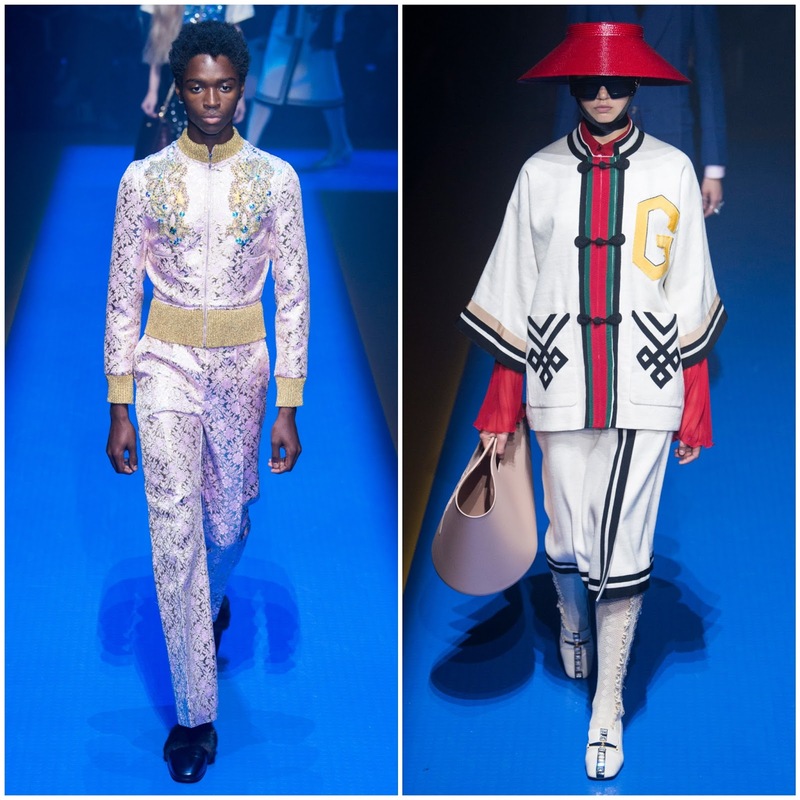 WHAT: Gucci Spring/Summer 2018. 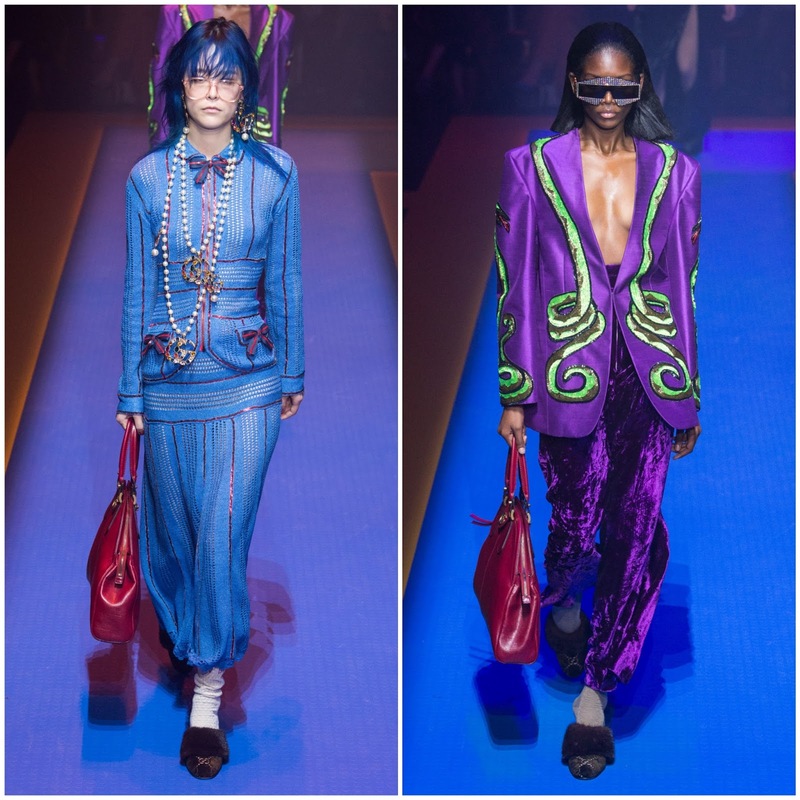 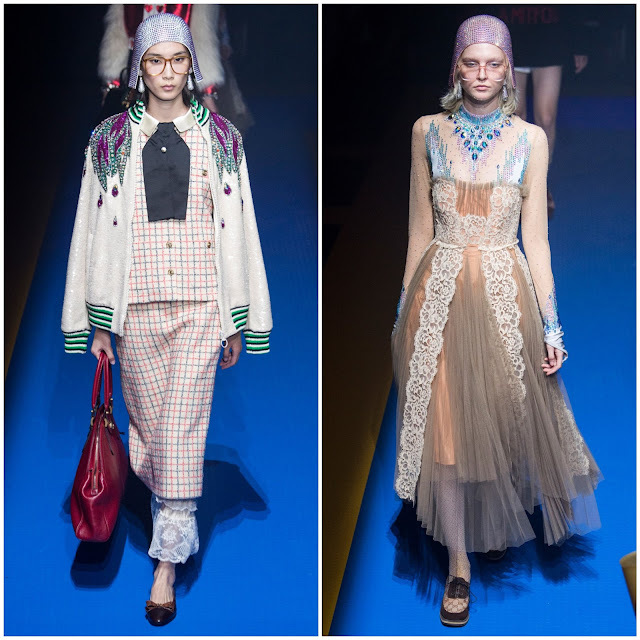 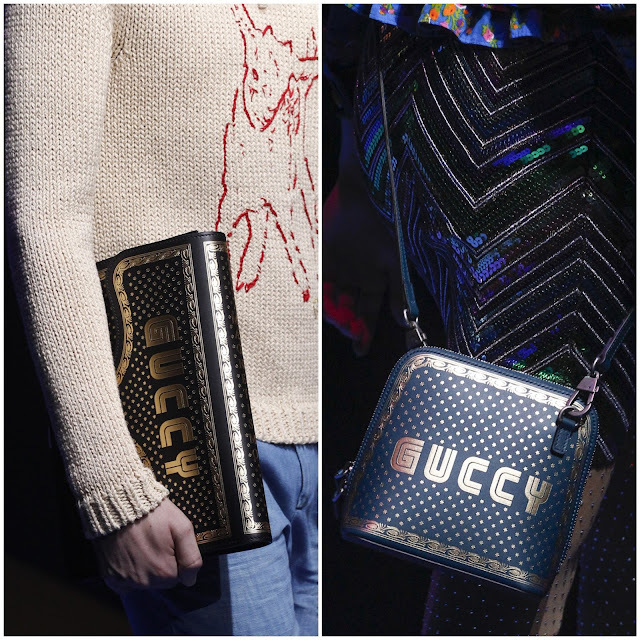 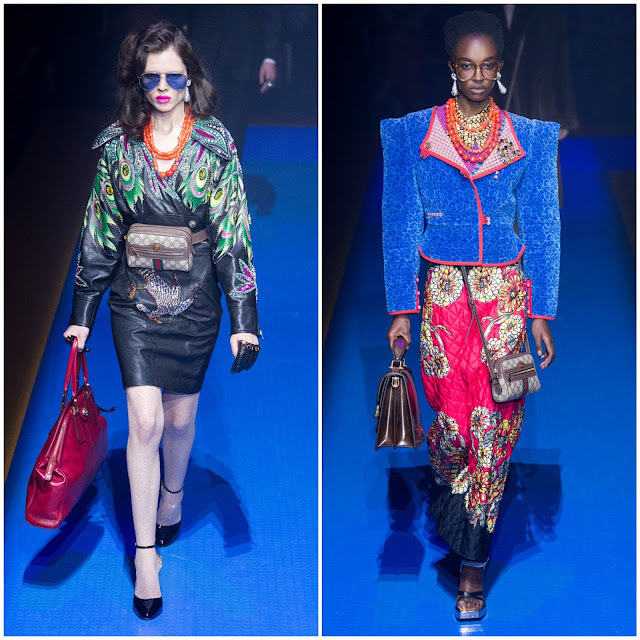 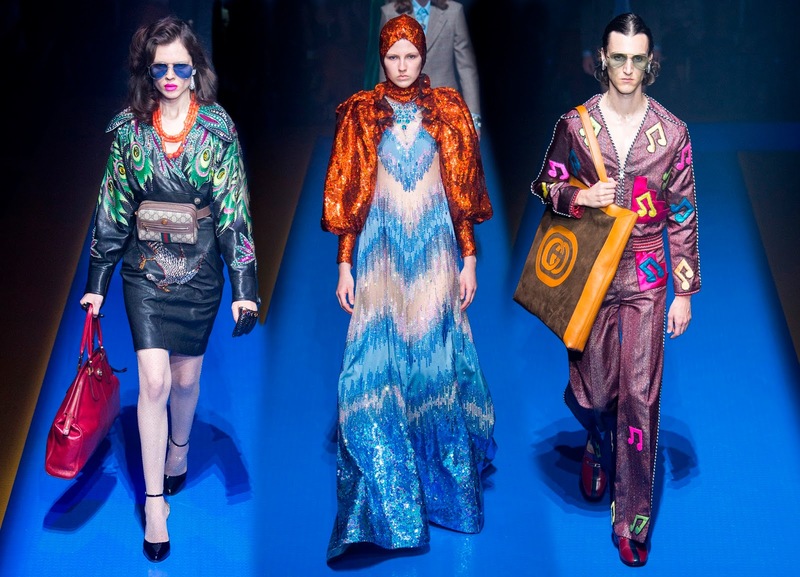 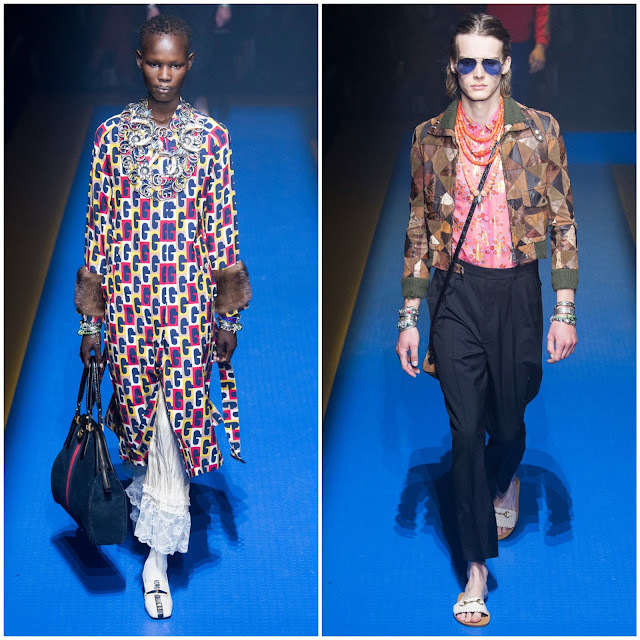 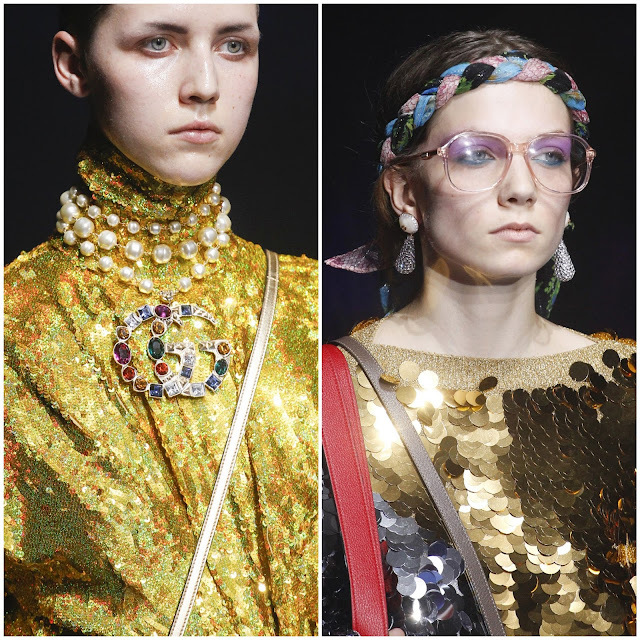 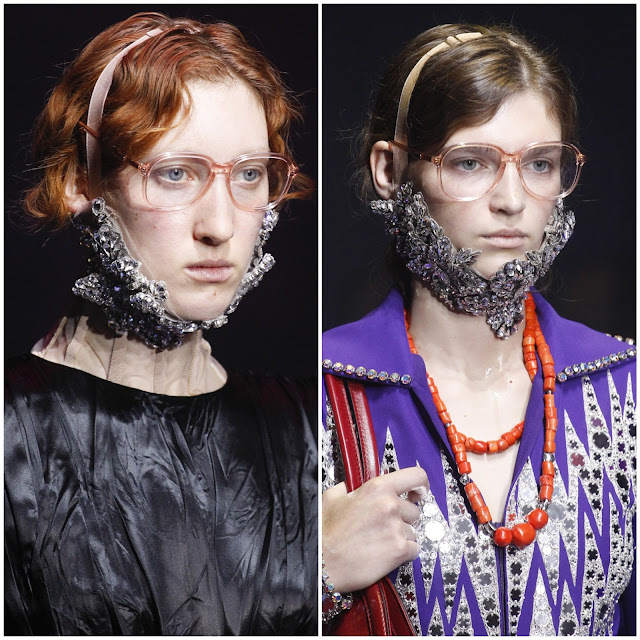 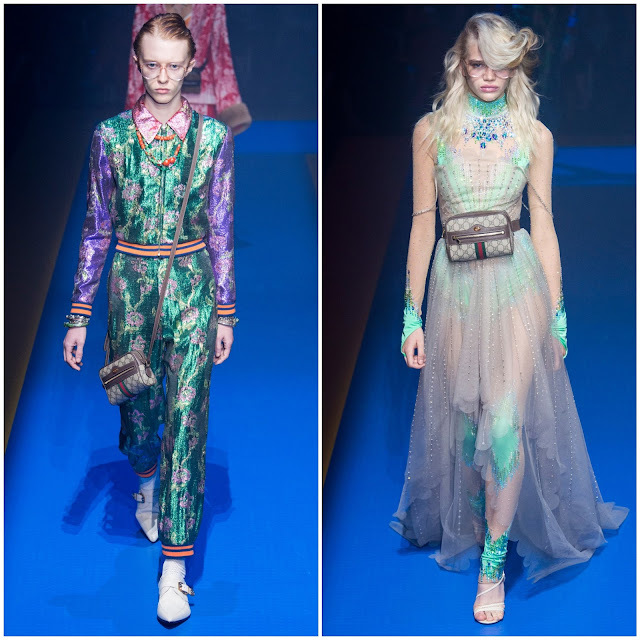 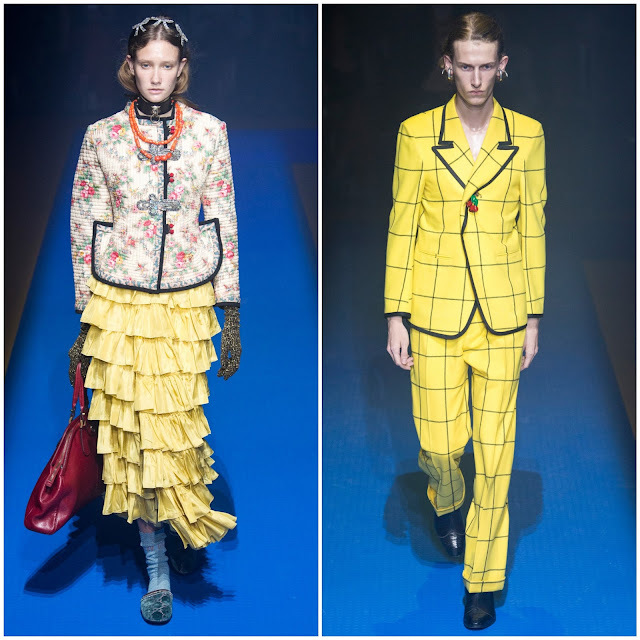 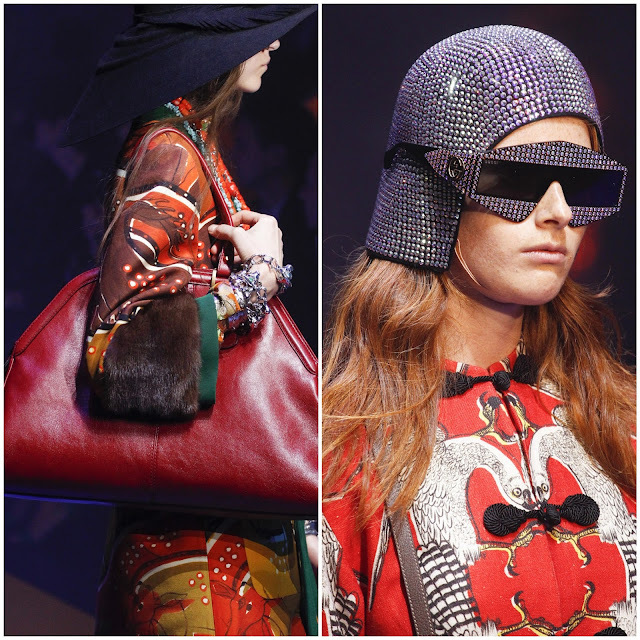 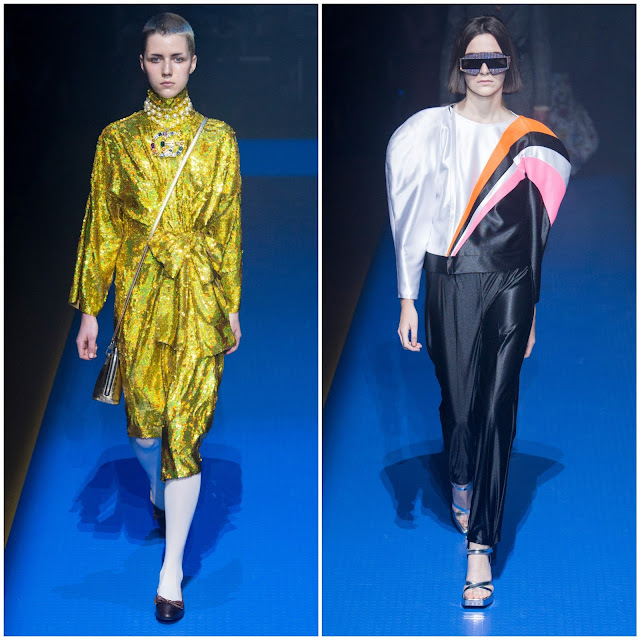 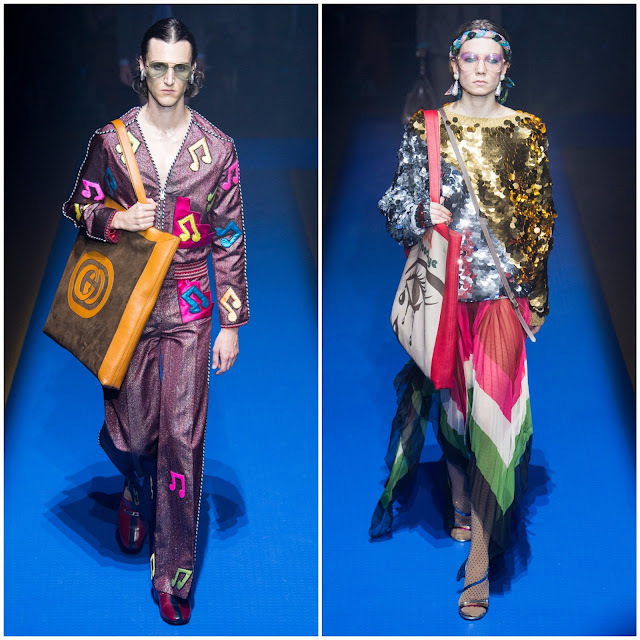 Ever since 2015 when Gucci named Alessandro Michele as its Creative Director, he has transformed the brand, bringing in a vintage/geek-chic/retro/eccentric fabulousness that makes fashion editors and street fashionistas alike, all shake with excitement. 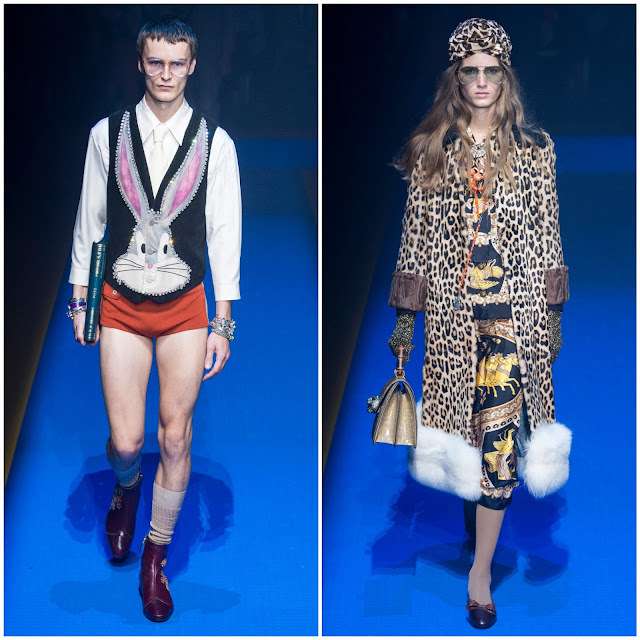 This "Alessandro Michele" look--or "Gucciness" was in FULL GLAMAZON mode at the latest offering from the Italian fashion house. 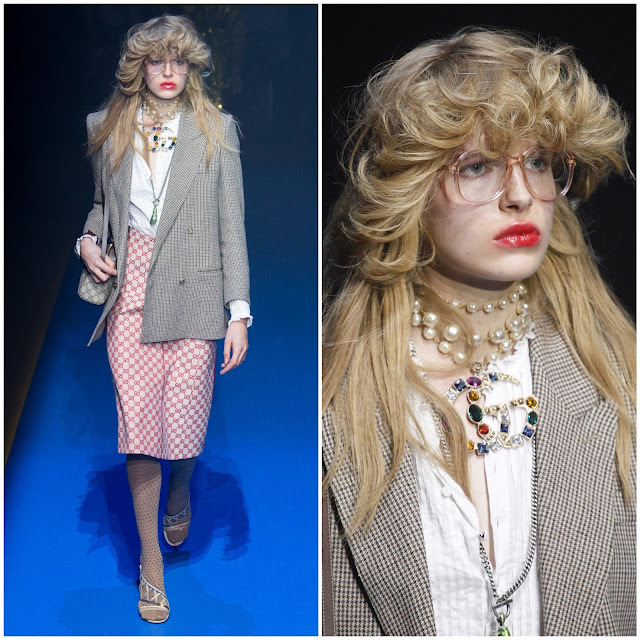 SEEN ON THE RUNWAY: 108 total looks! 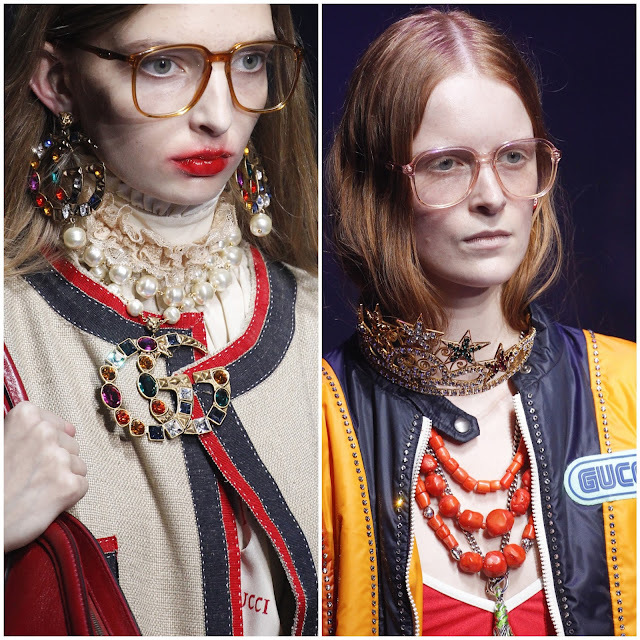 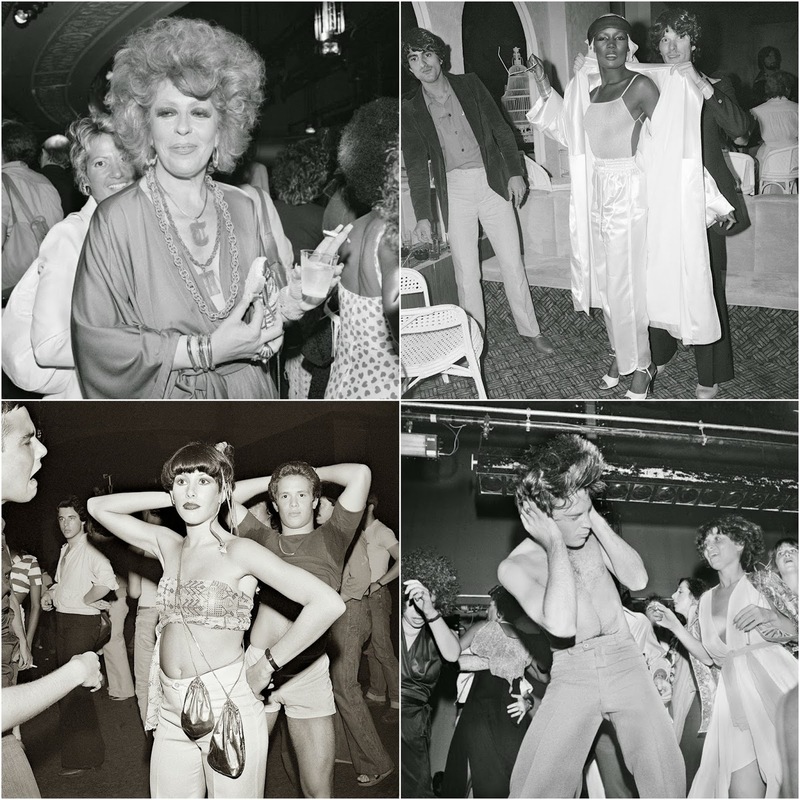 There was high teased & feathered hair, bedazzled 80's track suits, jumpsuits, 70's jigsaw puzzle leather bomber jackets, UBER large and wide shoulder padded jackets, lots and lots of SEQUINS(! 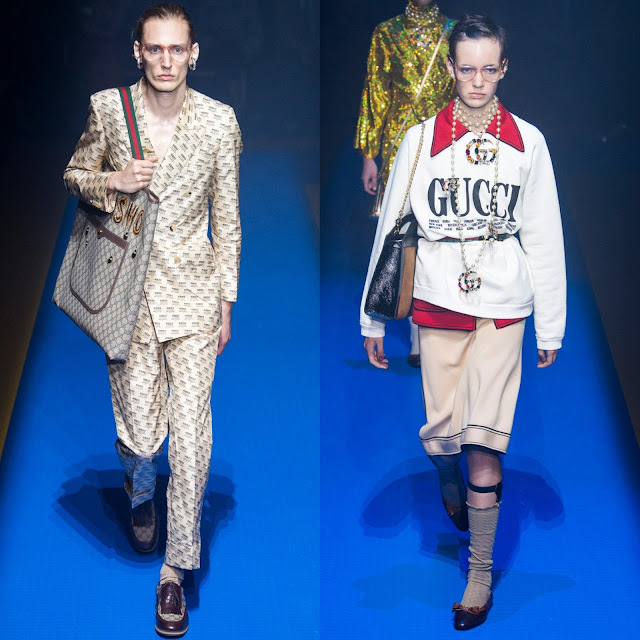 ), "grandma" sweater suits, "GUCCY" bags, 80's braided headbands, jeweled "GG" pins, "Devo" sunglasses, Asiana influences, medieval costume tendencies, snakes, bunnies, tigers, birds, horses...a potpourri of decades and style influences. 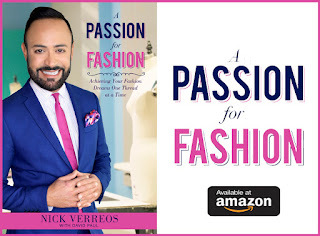 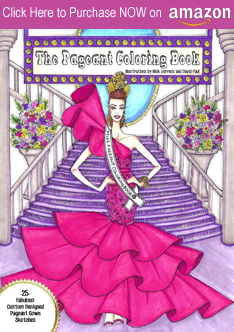 COLORS: Pink, canary yellow, blue, violets, chartreuse, neon hues. 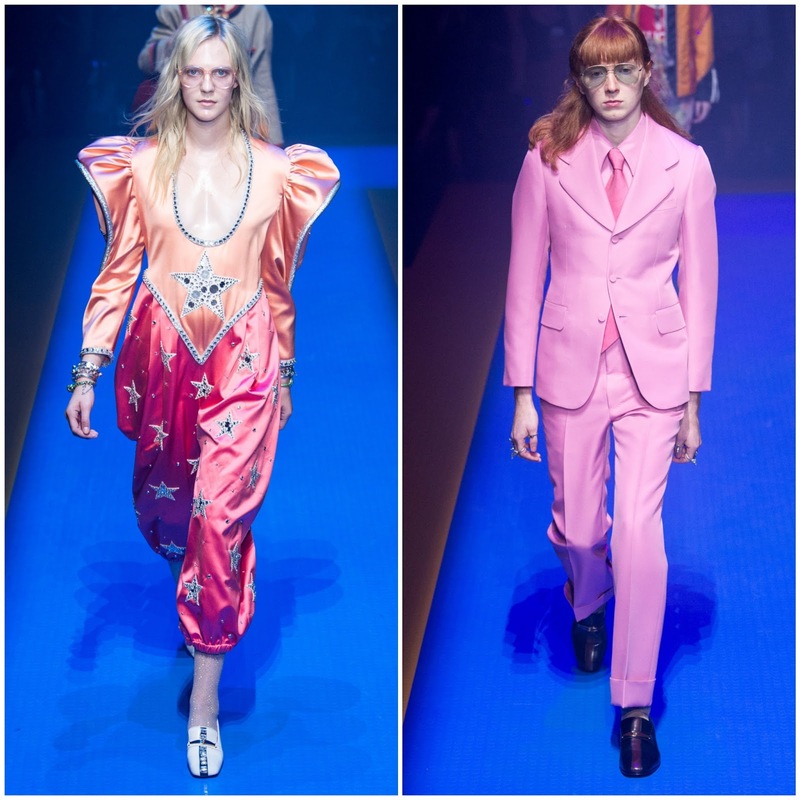 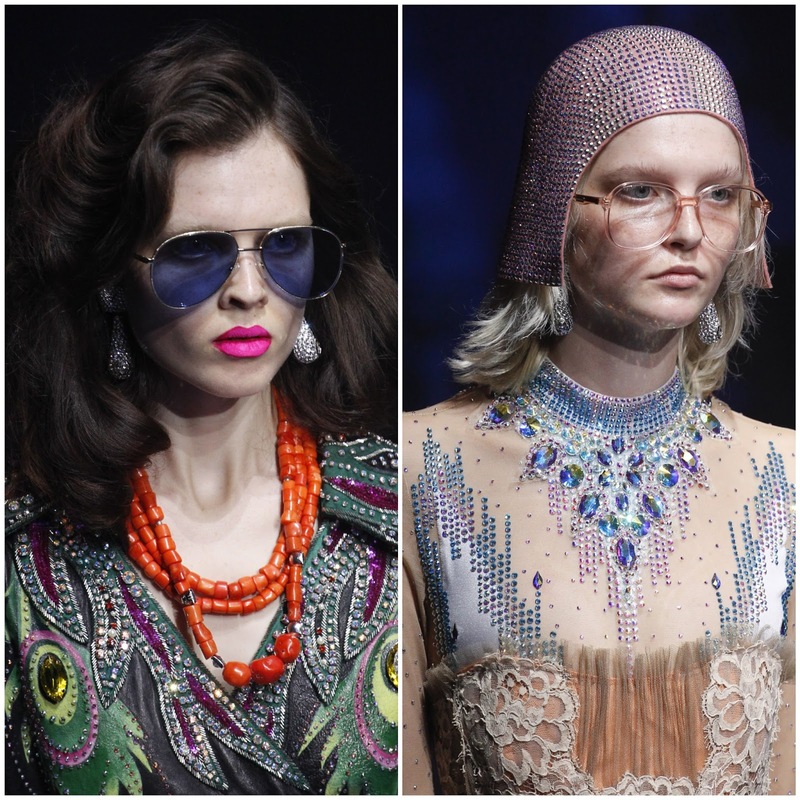 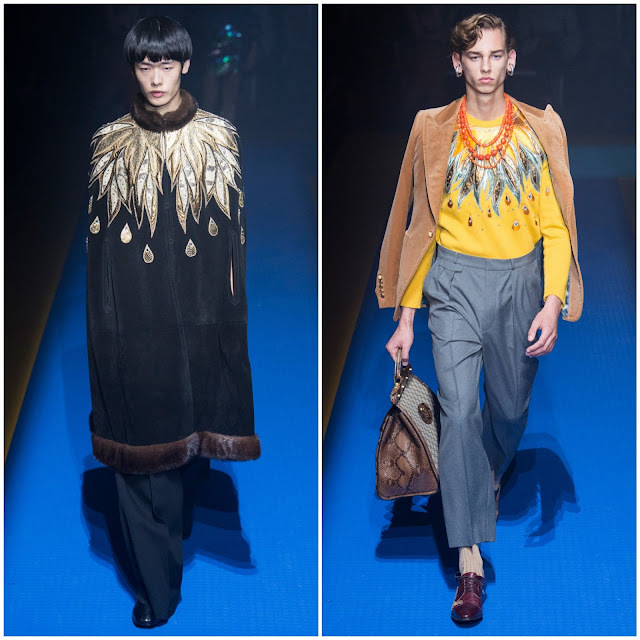 Alessandro Michele also paid homage to Elton John and the stage costumes that were created for him by Bob Mackie. 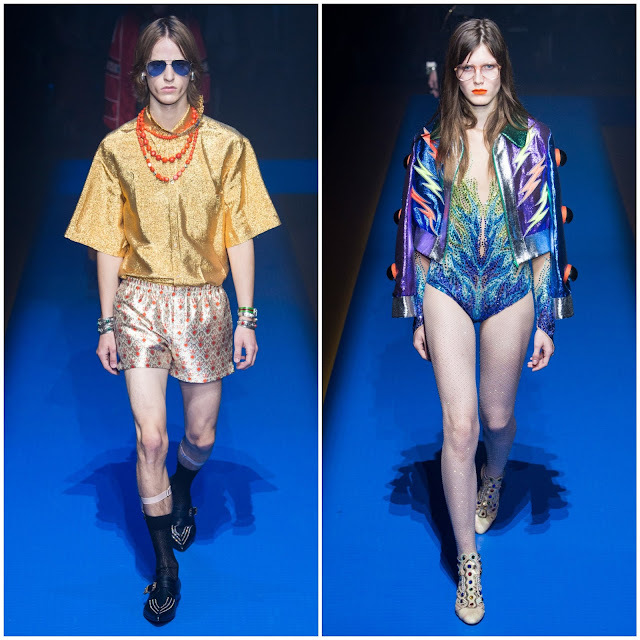 Especially the shiny tracksuits which were a staple for the flashy performer (above right). 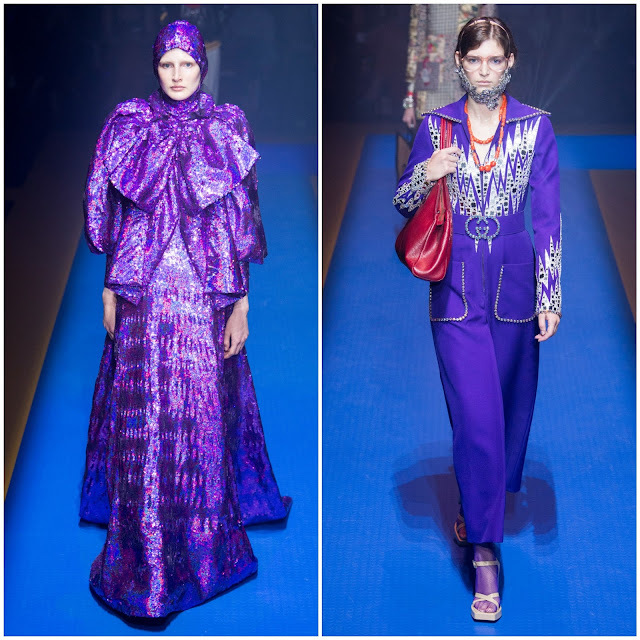 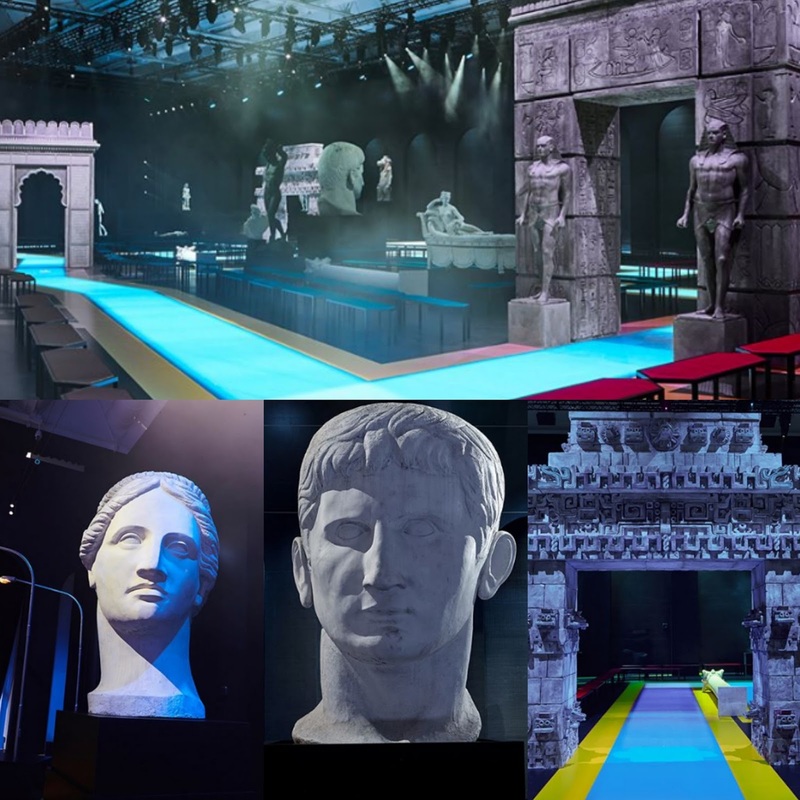 0 Response to "RUNWAY REPORT.....Milan Fashion Week: Gucci Spring/Summer 2018"